The Camino Real Regional Utility Authority consists of two Sunland Park Elected officials, two County Commissioners, New Mexico Senator (or a delegate) and New Mexico Representative (or a delegate) whose district includes the Sunland Park/Santa Teresa area and one member selected by the majority of the aforementioned six members. The Camino Real Regional Utility Authority Board holds its meetings unless otherwise posted on the second Monday of each month at 5:30 p.m. at the Gadsden Independent School District Board Room located at 4950 McNutt Rd., Sunland Park NM 88063. Commissioner Billy G. Garrett was elected to the Dona Ana County Board of Commissioners to represent District 1 on November 2, 2010 and re-elected in November of 2014 and will serve on the board through December 2018. District 1 includes all of the communities in the south valley between Vado and Mesilla Park, as well as downtown Las Cruces, Mesilla and Picacho Hills. Commissioner Garrett brings extensive experience with large-scale government operations to the Commission. He understands the importance of budget formulation, planning, and infrastructure development and is dedicated to making Doña Ana County the best possible place to live for all residents. Among Commissioner Garrett’s top priorities are efficient delivery of county services, public involvement in decision-making and program accountability. He is committed to inter-governmental coordination and comprehensive planning to support local communities faced with limited resources and rapid growth. A third generation New Mexican, Commissioner Garrett grew up in Las Cruces and graduated from Las Cruces High School. After attending New Mexico State and Arizona State Universities, he pursued a career in architecture and organizational management. He and his wife, Cynthia, live in Mesilla; both retired from the National Park Service in 2009. Born in El Paso, TX, and raised in Sunland Park, NM, Mayor Javier Perea is 100% local. Mayor Perea has always excelled in academics and graduated salutatorian from high school and received a Bachelor of Business Administration with honors from New Mexico State University. His calling for public service has always been evident through his involvement in numerous organizations at school and the community, often taking senior leadership roles. Mayor Perea officially took public office on August 2, 2012 and has been adamantly working to address the City’s many challenges including organization, planning, finance, economic development, transportation, and infrastructure. Bealquin “Bill” Gomez was born in Roswell, NM and was raised on his family farm in Hagerman, NM. The youngest of ten children he spent his childhood in the family’s bar, The Gomez. Bill graduated from Hagerman High School and was a State FFA Sentinel while in high School. He then attended the New Mexico Military Institute where he received an associate degree before attending New Mexico State University. He graduated from New Mexico State University in 1971 obtaining a Bachelors and Masters in Agricultural Business and Economics. He returned to work with the Cooperative Extension Service at NMSU in 1974 as a state wide specialist working in marketing and agricultural development for over 27 years. Bill began his career at NMSU by working with the City of Anthony, New Mexico to form the Anthony Sanitation District. He was President of Tierra Del Sol during the development of the San Miguel Alto de Las Flores housing project. For over 20 years he provided handbooks and training programs for all New Mexico county elected officials to include County Commissioners, Sheriffs, County Clerks, Treasurers, and Assessors. He also worked with area farmers to get the Mesa Farmers Gin open, and change the state law governing cotton gins to allow them to obtain a full time air quality permit. Over several years he helped organize the Boll Weevil Association for the Mesilla Valley, obtained a million-dollar loan from the federal government and managed to help rid the valley of the pest in just two years. Bill has worked extensively with the New Mexico Wine Industry by conducting the major wine festivals all over the state for 15 years and provided marketing and promotional assistance to the industry thus creating a viable wine industry in the state. Commissioner Ramon S. Gonzalez was elected to the District 2 seat on the Doña Ana County Board of Commissioners on Nov. 8, 2016. He took the oath of office on Dec. 29, 2016, and assumed the duties of County Commissioner on Jan. 1, 2017. His four-year term ends Dec. 31, 2020 and is eligible to seek re-election. District 2 encompasses Doña Ana County’s border with Texas and the Republic of Mexico, including the Santa Teresa Port of Entry. Incorporated municipalities within District 2 include the City of Sunland Park and the City of Anthony, as well as the unincorporated communities of Chaparral, Santa Teresa, La Union and Chamberino. Commissioner Gonzalez is a 1969 graduate of Gadsden High School, and holds both bachelors and master’s degrees in physical education from New Mexico Highlands University, where he played collegiate basketball. He was inducted into the Hall of Honor in Basketball in 2013. After its incorporation in 2010, he served as the first mayor of the City of Anthony, N.M. He retired after 44 years teaching within the Gadsden Independent School District, where he taught history, world history and physical education. He also coached baseball, basketball and volleyball. Commissioner Gonzalez has been married for 30 years. He and his wife Jovita have two daughters, Teresa and Jessica. Olga Nunez was elected on March 31, 2016 to the City of Sunland Park Council. She was then selected by the Sunland Park City Council to serve on the CRRUA Board. Mr. Joshua Orozco was born and raised in Las Cruces, NM has been part of CRRUA’s board since 2011. A graduate of NMSU, he has been working to attract businesses and bring jobs to southern Doña Ana County since 2001. 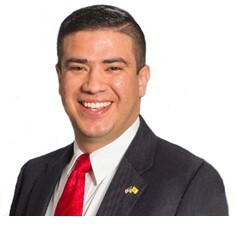 Mr. Orozco’s experience in economic development has allowed him to see how water and wastewater infrastructure play an important role in attracting new business and jobs to the region. This experience inspired him to pursue a seat on CRRUA’s board. 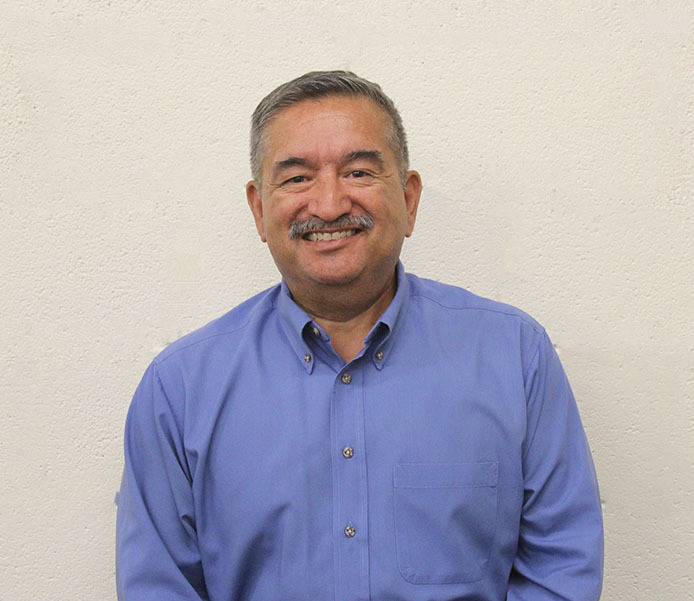 Mr. Orozco is the at-large member of the CRRUA board which is held by someone living within the county and familiar with the business environment of southern Doña Ana County. 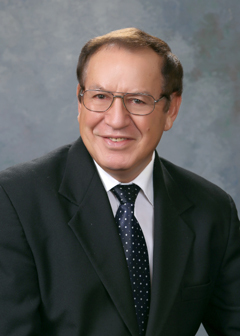 Mr. Sierra currently serves on CRRUA Board as New Mexico State Senator Joseph Cervantes Appointee. Mr. Sierra has been serving on the board since January 2018.